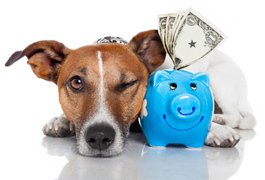 An accident or illness can bring expensive and unplanned vet bills, which even the most caring pet owners are often unprepared to handle financially. Therefore, many pet owners purchase pet insurance so that they don’t have to worry about cost becoming a factor in already stressful times and so that they don’t have to compromise on the level of health care when their pet becomes ill or has an accident. Ellerslie Veterinary Clinic is pleased to provide you with copies of your pet’s medical records for submission to your insurance company. Alternatively we can help with any paperwork to provide your insurance company with the required information directly. Simply discuss the matter with a staff member at your next appointment or contact us for further information.